Copy and paste any of the following hearts already pasted below. 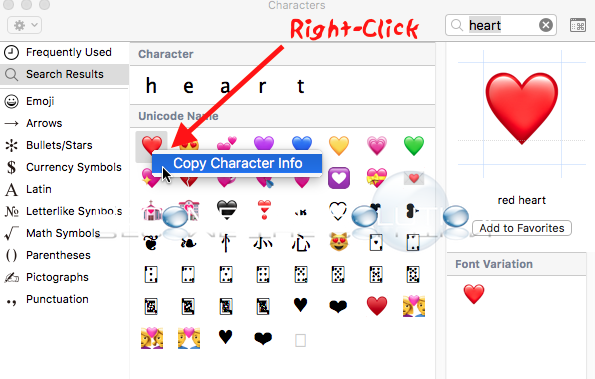 Mac Emoji Heart Icons: ♡ ❣ ♥ ❤ ???????????????? Go to System Settings -> Keyboard -> enable Show Keyboard and Emoji and emoji viewers in menu bar. This reveals a keyboard icon in your menu bar. Select it then Show Emoji & Symbols. Search for heart. Right-click any and select copy character info or you can drag and drop them. Finally, paste the heart emoji to wherever you desire.